Taylor Funeral Home of Louisville announces the death Mr. James Leonard “Jay” Watkins, Jr., age 51 of Swainsboro who died Friday evening July 6, 2018 in Tranquility Hospice in Marietta following a long illness. A celebration of life service will be held 11:00 AM Saturday July 21, 2018 in the Chapel of Taylor Funeral Home in Louisville with Brother Wayne Folds officiating. 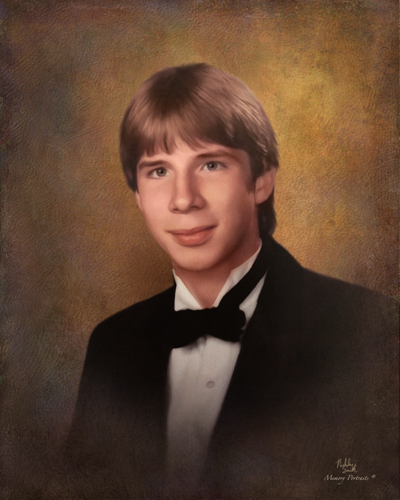 Jay was born May 19, 1967 in Sandersville to James Leonard Watkins, Sr., and Bonnie McDaniel Watkins. He grew up in Wadley and was a 1985 graduate of Thomas Jefferson Academy. He was employed with Bright Ideas in Swainsboro prior to his illness. He was a lifelong outdoorsman and especially enjoyed fishing at Clarks Hill Lake and the Ogeechee River. Mr. Watkins is survived by his parents, Leonard & Bonnie Watkins, Sr., of Wadley, sons, James Leonard “Jeb” Watkins, III & Jonathan Watkins, brother, Bryan & Stephanie Watkins, sisters Christy Wasden & Grant Sanders, & Ali & Jim Cooper, nieces & nephews, Ryder Watkins, Alaylla Watkins, Carson Cooper, Carlee Cooper, Declan Sanders, & Sawyer Sanders, loyal friends, Rod Folds, Kim Folds Price. The family will be at the home of Leonard & Bonnie Watkins, 347 Farm Street Wadley GA. 30477 and will receive friends immediately following the services at the funeral home.